RebelTrade Alerts applies Bob's rules of his Contrarian Trading System. You will have access to these trades using our simple Rebel Trades swing trading dashboard. No Obligation. Try for 2 weeks. Only a small charge afterwards depending upon membership level with huge annual discounts. 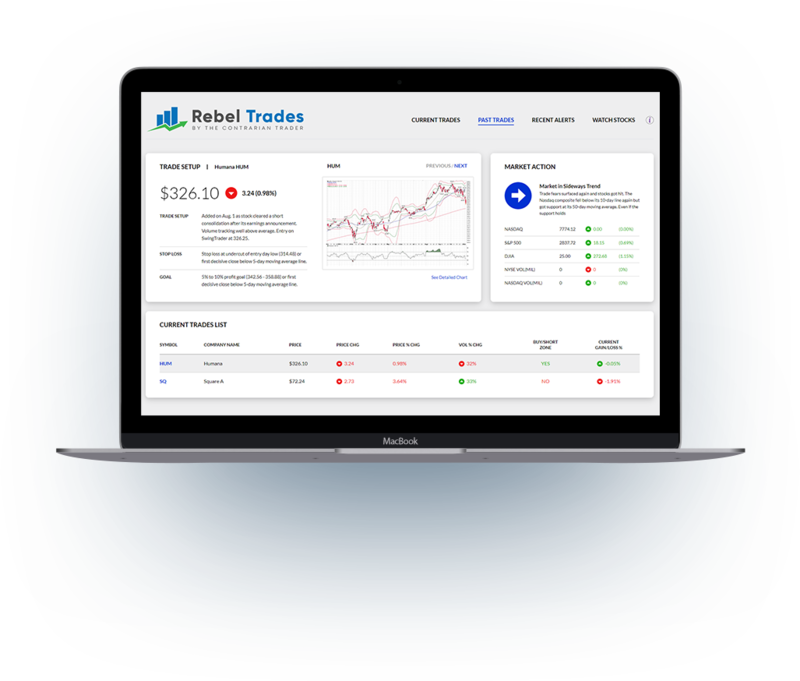 Our sleek RebelTrade trade management platform allows you to scan our list of current and watch trades in moments to decide if action is required. With your subscription, you’ll get your choice of email alerts, text or push notifications to keep you up to speed on the action. All Rebel Trades members receive all of Bob's contrarian chart analysis and commentary. 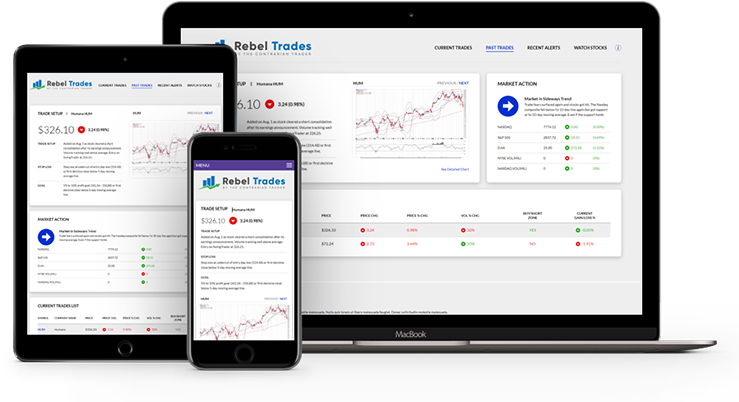 RebelTrades is optimized for all devices, so you can stay current on your desktop, laptop, tablet and mobile device.